REDMOND, Wash. — (BUSINESS WIRE) — November 7, 2018 — Brought to life through delicate art, detailed animation and an elegant original score, ethereal indie game GRIS comes to the Nintendo Switch system on Dec. 13. 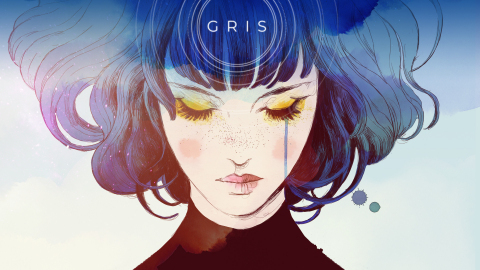 The new game from independent publisher Devolver Digital tells the powerful story of Gris, a young girl pained with loss who takes an emotional journey through a serene and evocative world free of danger, frustration and death. Light puzzles, platforming sequences and optional skill-based challenges will reveal themselves to Gris as she grows emotionally, unveiling new paths for her to explore with her new abilities. Launching just in time for the holidays, GRIS is one of many independent games available in Nintendo eShop on Nintendo Switch. Covering nearly every genre, these critically acclaimed games from independent developers, or Nindies, offer something for every type of player. Lucky Nintendo Switch owners who receive a Nintendo eShop gift card as a present this year can redeem it to stock up on some of these widely loved games. To help keep up with all the recent Nindie news, here are some additional updates about indie games on the way, games that recently launched and fun news about the world of independent game development you might have missed. The critically adored Guacamelee! series body slams its way to Nintendo Switch. The first game, Guacamelee! Super Turbo Championship Edition, is now available, with Guacamelee! 2 coming to Nintendo Switch in December. Upcoming indie launches on Nintendo Switch include Crashlands from Butterscotch Shenanigans (Nov. 8), Monster Boy and the Cursed Kingdom from FDG Entertainment (Dec. 4), Carcassonne from Asmodee Digital (Dec. 6) and Dragon Marked for Death from INTI CREATES CO., LTD. (Dec. 13). They will join recent indie hits like Save me Mr Tako: Tasukete Tako-San, Transistor, Moonlighter and Child of Light: Ultimate Edition, which are all now available in Nintendo eShop. Check out the Indie News Channel, accessible from the Nintendo Switch HOME menu, for exclusive access to helpful tips & tricks for Hollow Knight, a challenging fan-favorite indie game currently available in Nintendo eShop. Check out great deals on some indie favorites in Nintendo eShop right now, including Runbow for 50 percent off until Nov. 11 and Flame in the Flood: Complete Edition for 50 percent off until Nov. 19.